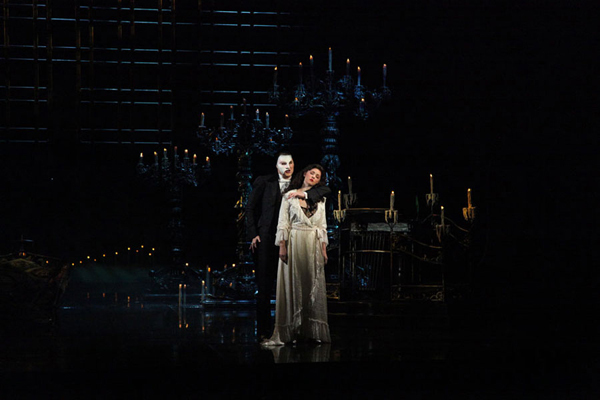 Twenty-nine years after its premiere in London, Andrew Lloyd Webber's 'The Phantom of the Opera' is now being staged in Beijing for the first time. It is expected to give 64 performances to Chinese audiences since its debut in Beijing last Wednesday. The cast is led by eminent musical actor Brad Little, who joined the show's Broadway cast in 1996 as the Phantom, and Emilie Lynn as Christine. Brad Little says he hopes their show can stimulate the development of musicals in China. "It happens in every country that I know, once they see the shows, they get the musical theater fever. And I have no doubt that this will happens here in China as well. And it probably will happen in the bigger city at first, but eventually it will keep going and going, and then eventually the audience will get to the musical in one language, and they'll have Chinese productions." Based on the French novel with the same name, the musical portrays a beautiful soprano, Christine, who becomes the obsession of a mysterious, disfigured musical genius. The show has won over 50 major theater awards, including Olivier and Tony Awards. Openning in London's West End in 1986, 'The Phantom of the Opera' has been seen by audiences in 145 cities in 27 countries. The show is now on stage in Beijing at Tianqiao Performing Arts Center, and will run until January 10th.